This 7-inch device is advertised as a smartphone and features modest specs, as well as a low resolution screen with only 1024X600 pixels and 169 ppi. 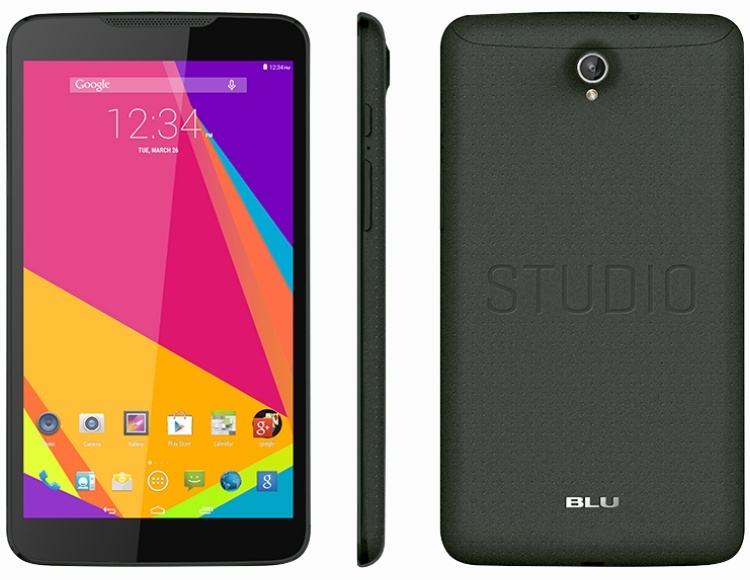 While other companies release 7 inch Android phablets or even "regular" tablets, US company Blu Products decided to advertise a 7-inch device as a smartphone. The Blu Studio 7.0 is, according to its makers, the first 7-inch smartphone in the world, although Samsung launched the Galaxy W already and advertised it as a 7-inch smartphone as well. This large Android KitKat handset can be purchased from Amazon.com, unlocked, for a price of $149.99 USD. Blu Studio 7.0 is fully compatible with any GSM network in the US so customers are free to choose their carrier. MIAMI, Dec. 17, 2014 /PRNewswire/ -- BLU Products, the market leader in unlocked devices in the United States, introduced today the new Studio 7.0 smartphone device connecting the best of both worlds by blending a 7-inch screen with a compact design that lets you comfortably hold it one-handed for phone calls, or fitting into your jeans pocket. "The market trend shows that the demand in small tablets is fading, as a direct result to the median in a smartphone now approaching over 5 inches, meaning the term phablet no longer applies to a broad range of devices in the 5.5 inch to 6.0 inch category," said Samuel Ohev-Zion, CEO of BLU Products. "What the consumer wants today is a single device that brings value with an awesome display size and convenience." The Studio 7.0 is now available at Amazon.com, unlocked, and exceptionally priced at $149.99, compatible with any GSM Network inthe United States allowing consumers to choose their service plans from companies such as T-Mobile, AT&T, Metro PCS, Cricket Wireless, Tracfone, Go Smart, Simple Mobile, Net 10, Straight Talk, Ultra Mobile, Telcel America, H20 Wireless, Red Pocket, and Walmart Family Mobile, among others. The Studio 7.0 features a vivid 7.0 inch HD display, powered by a 1.3 GHz Dual-Core processor and can access 4G HSPA+ speeds up to 21mbps nationwide on any GSM network in the United States, in addition to a 5.0 Mega Pixel auto focus main camera capable of recording HD video at 1080p and a front facing 2.0 Mega Pixel camera. Storage Includes 8GB of internal memory and an expandable micro SD slot up to a 64GB, plus 1GB RAM.